- Car. 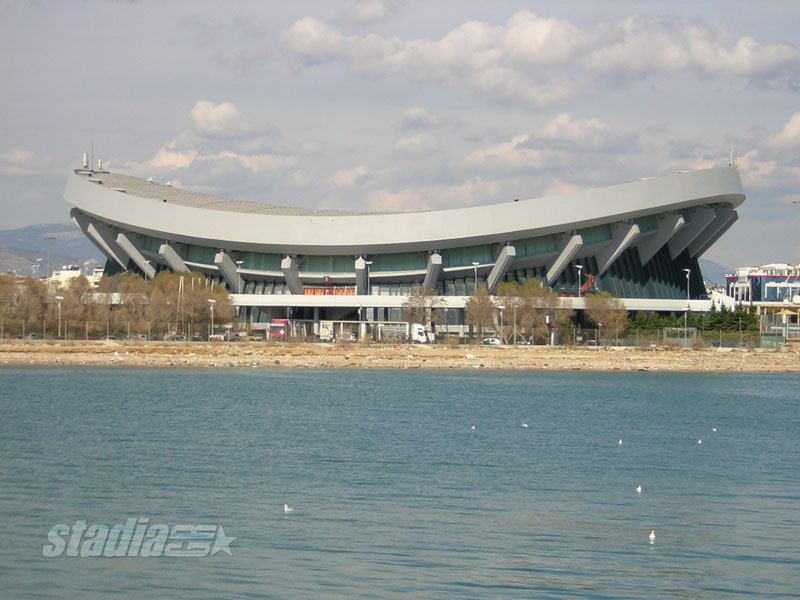 The arena is on the coastal Possidonos Avenue, just as you enter Piraeus. - Metro. Use line 1 to "Faliro" station, right outside the arena. The easiest way to get there. - Tram. The terminus of tram lines 3 (from Voula) and 4 (from Athens) is "SEF", at the arena. 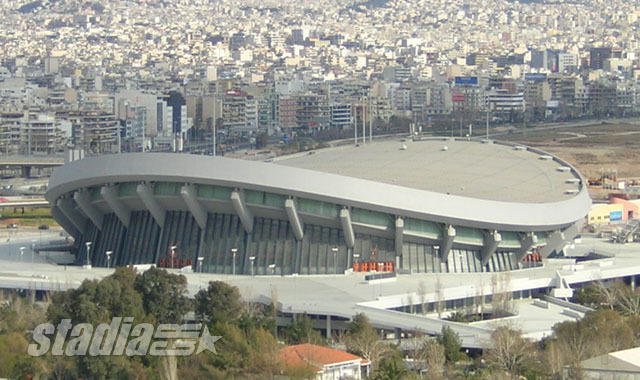 More data: The arena is known widely as "SEF", which are the initials of its name in Greek (Stadio Erinis & Filias). 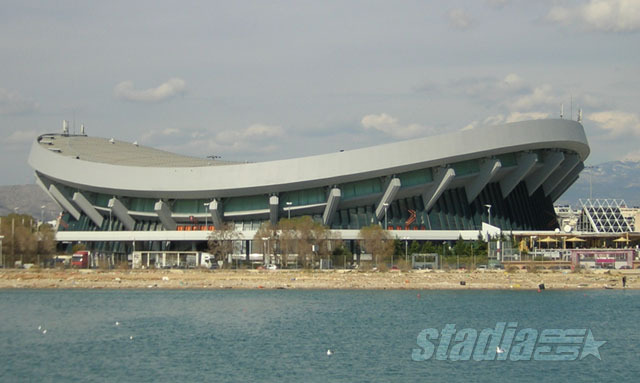 It is built right opposite Karaiskaki Stadium, on the seafront (actually on reclaimed land). The arena was designed by architects "Thymios Papagiannis and associates" at a cost of € 25 million (1983 prices). In 1991 it received the Golden Award by IAKS (International Working Group for the Construction of Sports and Leisure Facilities). 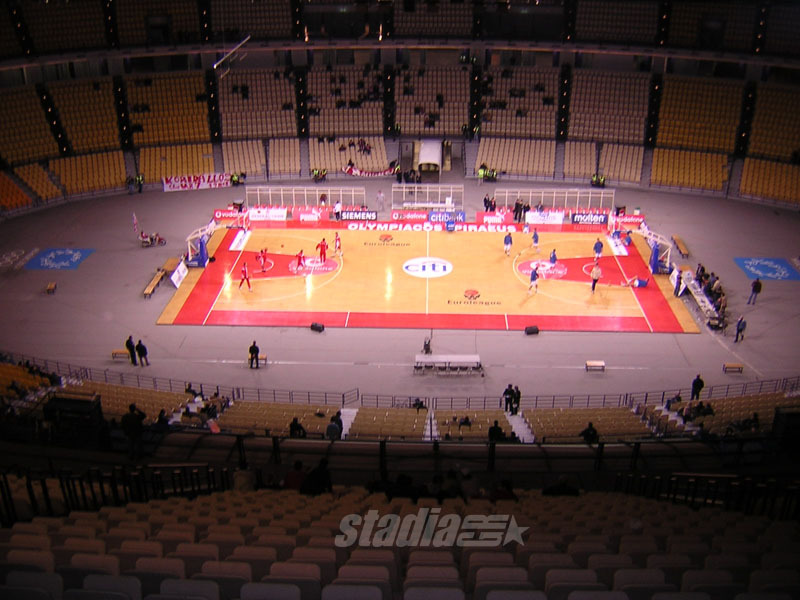 Besides basketball, its multi-purpose main arena is also able to host athletics, gymnastics, volleyball, handball, ice skating etc, and also concerts, conventions and exhibitions. Additionally, the arena has hosted 11 Greek Basketball Cup Finals (1985, 1986, 1987, 1988, 1990, 1991, 1992, 1993, 1994, 1999 and 2002) and also 3 Greek Basketball All-Star Games (1991, 1994 and 1995 - although the latter took place eariler in the season, on 22/12/1994). 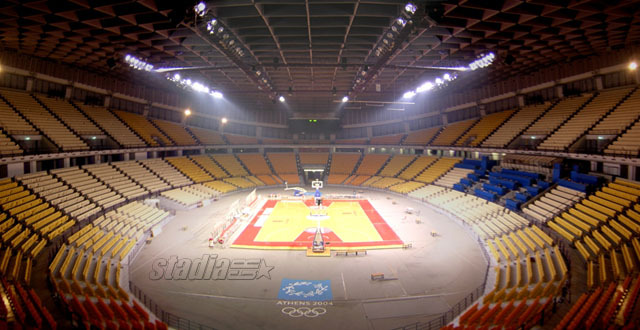 The Peace and Friendship Stadium was one of the venues of the 2004 Olympic Games, hosting all the preliminaries and finals of the volleyball tournament. 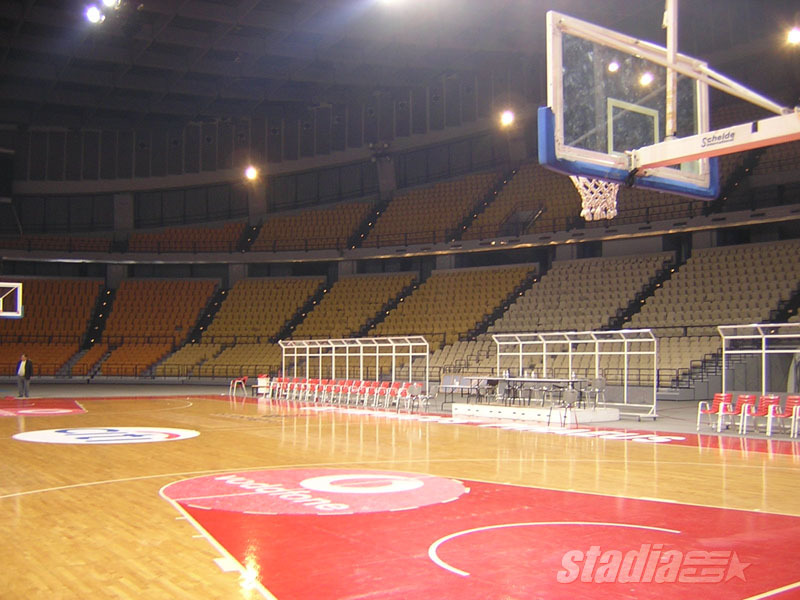 The arena remained closed from April 2002 until early 2004, as its facilities were being upgraded. The cost for these works (carried out by TERNA SA) was € 7.3 million. 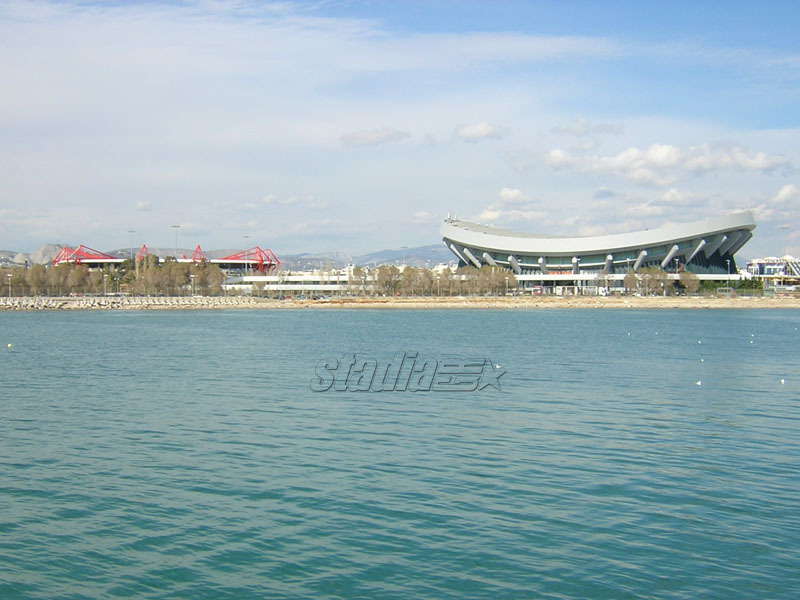 Following below are some more photographs of the Peace and Friendship Stadium. You may click on any of the thumbnails to see the relevant picture in full size. The Peace and Friendship Stadium (official website) is owned by the Greek State.